Regalo takes active steps and measures to protect your privacy. This Privacy Notice describes what information we may collect from our friends and guests, club members, private residence owners, renters and prospective residence owners and club members (referred to as “Guests, Members and Owners from here on), as well as visitors to the Regalo website, as well as the way in which Regalo stores and uses this information to best serve your requirements. We assure you, we will always protect your information as though it were our own. When you see the term “Regalo”, “We” and / or “our”, this refers to Regalo Ltd, subsidiaries and affiliates of Regalo, and all of the legal entities that manage and / or operate Regalo hotels, resorts and / or residences. To respond to any information requests, you may have about our hotels, resorts or residential properties, and any and all correspondence and communication from you. To ensure your safety and security as well as that of other guests, visitors and staff whilst at any Regalo resorts, hotel or premises. 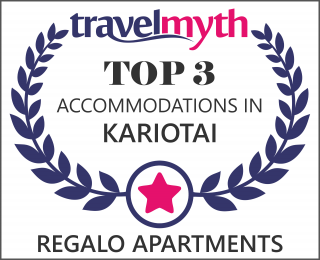 The Regalo group operates via and as part of a global network of data centres, hotels, serviced apartments, reservation centres and offices; it may be necessary to share or transfer information you have submitted (in connection to your booking for example) outside of the country in which it was originally submitted and / or collected. Any information you provide either at the point of reservation or during the course of your stay, or at anytime before, between and / or after these events, may be transferred between us, in order that we may carry out and / or facilitate the services you have requested from us or to answer any queries or communications between you and us. The storage of data in line with our legal obligations may also require us to transfer data across the Regalo group. Where the service you have requested is provided by one of our partners, we will limit the transfer of your information only to that which is necessary for the third party to carry out the services required of them. Regalo operates on a “need to know” basis which means that only those who need to access your information will be able to access your data. Access restrictions also apply to contractors and other third parties who have a business need to know. Everyone who has access to your information have agreed to a duty of confidentiality. The Regalolefkas.com website logs the user’s IP address which is automatically recognised by the web server. This is used to record the number of visitors to our site and to help monitor the performance of individual web pages.